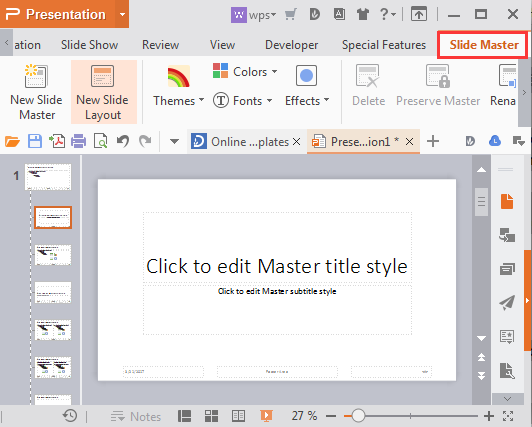 There are multiple types of view mode for users to view and edit the slides in WPS Presentation. These include normal view, Slide Sorter View, Notes Page View, Reading View, and Slide Master. Different view modes show different features. Users can make a choice according to their needs. 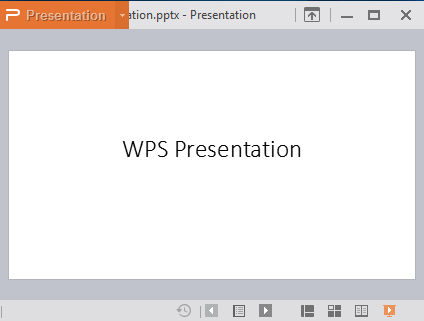 This is the default view in WPS Presentation. There are three panes in this view. The Outline and Slides tabs are on the left. You can switch outlines and slides through the thumbnails. 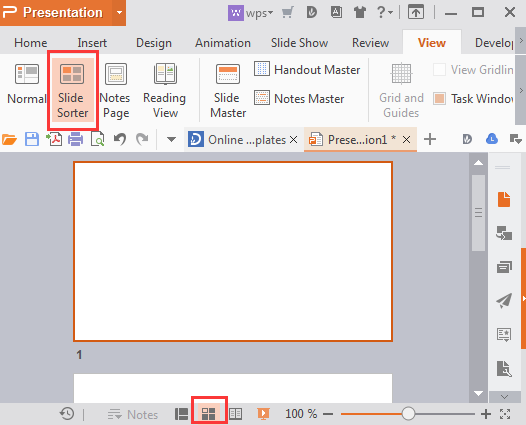 You can use Slide Sorter View to organize, review, rearrange, and set timing and transitions for your slides. This is an exclusive view and slides are shown as thumbnails. Step 1. Go to View Tab > Slide Sorter button. Or click the Slide Sorter View button at the bottom of the window. 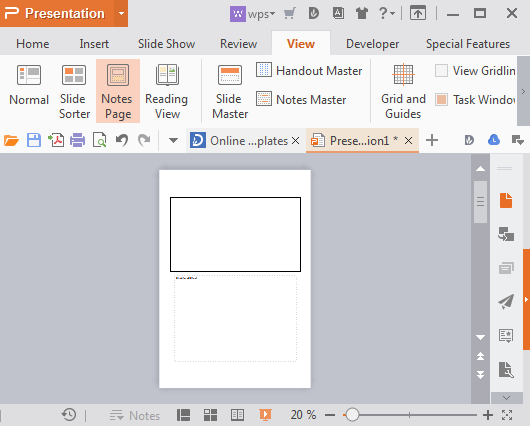 Notes Page View: You can see how your presentation will look when printed out with notes. Each page will contain one slide and speaker notes. At the same time, you can edit your presentation in this view. 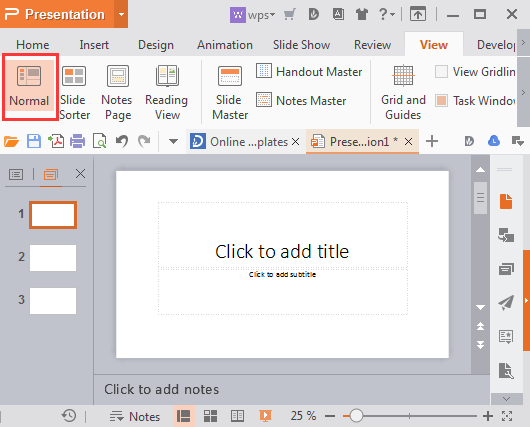 Reading View: Play your slideshow in the WPS Presentation window to see animations and transitions without switching to a full screen slideshow. Slide Master: Open slide Master view to change the design and layout of the master slide.